Cichlids are a group of fish that are often taken to be aggressive and territorial so that some hobbyists usually don’t prefer them. There are cichlid species that are usually blamed for doing aggressive acts such as digging up gravel and plants. Fortunately, there are the Dwarf Cichlids which are however quite different from their counterparts. 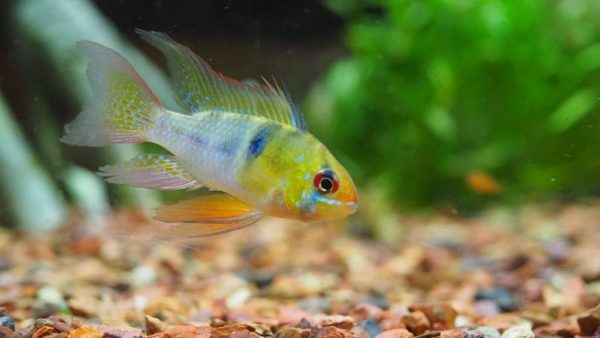 This fish species are not as large as other cichlids, they are far much less aggressive and will live well with other fish species in the same tank. Another good feature of the dwarf cichlids is that they don’t demand so much care as long as they are kept in larger tanks. The fish usually offers fascinating displays in an aquarium setting and will give a hobbyist great satisfaction. Keeping the fish in smaller tanks is easy and breeding them in small tanks is also easy. There are two main types of dwarf cichlids which are the South American dwarf cichlids and the African dwarf cichlids. It must be noted that these two species of the fish usually require different water needs and requirements. While the African dwarf cichlid species are good community fish, the South American dwarf cichlids usually prefer being kept alone in their tank. The Dwarf Cichlids especially those from South America will exhibit a variety of colors so that having them in your aquarium will be very appealing. The fish will grow to a maximum of three inches in length while in the tank. Of course there are others that may grow exceptionally larger than this. The fish are usually peaceful and will blend well with other community tank mates. There are also the West African dwarf cichlids that have stunning colors and relative smaller bodies. These fish usually come from rivers, streams, and ponds. There are usually two derivatives of the Dwarf Cichlids living in two known natural habitats which are South America and West Africa. The South America dwarfs cichlids are mainly found in the South and Central America region. This is a big geographical area featuring diverse habitats from rain forests to savanna grasslands. Basically the South American waters from which the cichlids are known to live in the wild is usually categorized into three types; white water, clear water and black water. There may be slight variations in the pH of these waters but generally these waters are usually soft or too soft. Even though the dwarf cichlids can still survive in hard water, they may find it difficult to spawn and will therefore need soft water to do so. The Western African dwarf cichlids are mostly found in freshwater streams, rivers and lakes. Some of the notable lakes you will find these cichlids include; lake Tanganyika, L. Malawi, and L. Victoria. These cichlids will habitat the upper portions of the streams or rivers that they dwell in. The waters they dwell in usually vary in hardness and can sometime be soft and fresh. Those found in Lake Malawi live in alkaline water because the lake is much mineralized. Those found in Lake Tanganyika live in very stable water that is fresh and highly rich in oxygen. Having tank that is at least 20 gallons can start for you the business of keeping them at home. Remember this cichlid fish species are not highly aggressive and may not need much space like their large and aggressive relatives. 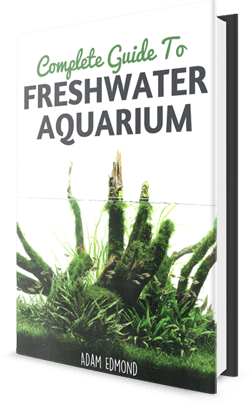 It may be best to keep those sourced from the South American region alone in their very own aquarium without mixing with other fish types. This species of fish are usually territorial and a little aggressive when it is time for breeding. Ensure that you get a larger tank if you wish to keep many of the fish. The rule of the thumb is usually 12mm of fish for every gallon. The water you put in the tank needs to be fairly soft. To properly facilitate their breeding process you can provide them with stones they will use for spawn. Always ensure that the water is changed on a regular basis to help keep things in the tank optimum. Cleaning the tank and changing the water there ensures that food left by the fish is removed thus any chance of bacterial or fungal growth is eliminated. Dwarf Cichlids are the easiest of the cichlids species to breed and with some few adjustments in the tank conditions everything will be fine. It is advisable to keep only just a few males with several females in the tank. This is due to the fact that the males are highly polygamous and will form territories of many females. Provide the cichlids with lots of clay pots or fairly large rocks that will act as caves for the females get into during spawning. Doing this helps to facilitate breeding for the fish. The females will lay eggs in the caves then the male will go over them to release the sperm that will fertilize the eggs. It is the female that will remain in the egg location until they are hatched. The female will then watch over the fry until they grow large enough to basically fend for themselves. You can then separate the juvenile fish from the mature ones and keep in a separate tank.